HELENA – State officials, care providers and advocates for the disabled warned lawmakers Thursday that proposed budget cuts that decrease staffing would hurt not only government’s effectiveness in doing its job, but impact residents as well. The House Appropriations Committee held a hearing on House Bill 2, the state’s $10.3 billion spending plan. The hearing is expected to continue Friday. It includes a proposal to eliminate about 116 full-time positions, which have reportedly been vacant for about a year, from the Department of Public Health and Human Services budget in order to save about $8.8 million in general funds. DPHHS has a biennial budget of $4.3 billion, or 42 percent of the HB 2 budget, state officials said. 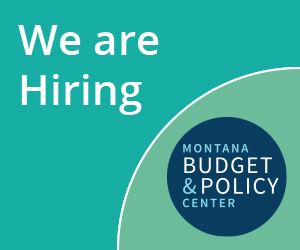 A review from the Montana Budget and Policy Center, a nonprofit organization that does research and analysis on budget, tax and economic issues, notes that the subcommittee has also proposed cutting $3.2 million from the Department of Revenue spending plan, that includes about 37 full-time positions, which is within the Property Assessment Division that certifies property tax values in the local community. Tom Livers, Gov. Steve Bullock’s budget director, warned of problems should the cuts occur. The Legislature made some decreases in a special session in November 2017 when revenues came in lower than anticipated and the state had a record fire season. Bullock said GOP lawmakers took his proposed budget and revised it to one that was unrealistic. Republicans said the governor had proposed increasing some taxes. “We all know how we got here,” Livers said. He talked about cuts made during a special session in 2017 when revenues came in lower than anticipated. Livers said it was thought by lawmakers at the time that one way to achieve savings was to not fill positions. “Not to rehash old battles, but that is the reality,” he said. Livers said the proposed cuts to the Department of Revenue were concerning in that the DOR is an office that generates money. Livers said lawmakers would be hearing from agency heads who want to talk about restoring positions. That included any reduction to vocational rehabilitation. Sheila Hogan, DPHHS director, said she appreciated the committee’s willingness to “listen to our proposals,” adding her department has worked on them for about a year. She said there needs to be "a boots on the ground" connection with people in the community, adding the more positions that are cut the more people must wait to receive services. Hogan said some employees are having to do three to four jobs. Morgan Smith, representing the Montana Federation of Public Employees, described the situation as dire. “DPHHS has already been cut to the bone,” he said, adding the department cannot take any more reductions. Megan Bailey, a licensed clinical social worker, said she was concerned about the proposed cuts. “When I heard about positions being cut it really freaked me out because I think they existed at one point for a reason,” she said. And she warned that it has a trickle-down effect. “Because positions are cut I can’t even do my job, Bailey said. Rep. Llew Jones, R-Conrad, said he was concerned that there was a lack of communication with some departments, making it a challenge to reach a decision. Rep. Carl Glimm, R-Kila, said the communication needs to be better. “When we ask questions we have to have answers,” he said. Senate Republicans said Thursday HB2 is expected to hit the House floor March 19-21 and the Senate was expected to act April 4-10.